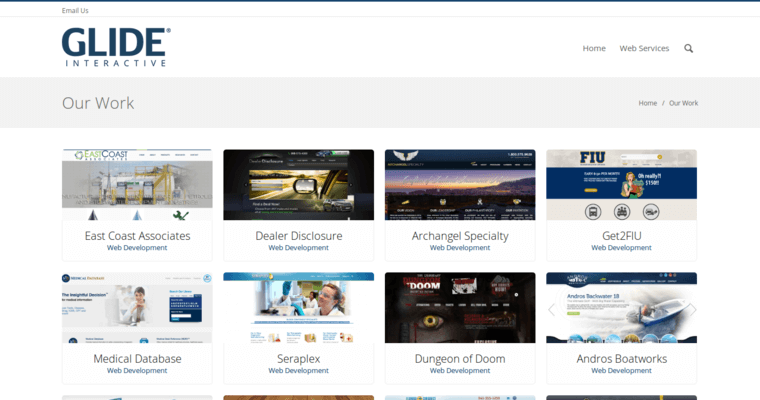 On its attractive, professional-looking and easy-to-navigate website, Glide Interactive offers all of the services that a business or website owner could possibly need. Along with offering Web development and website redesigning services, Glide Interactive also offers affordable pricing on lots of other useful and effective services as well. 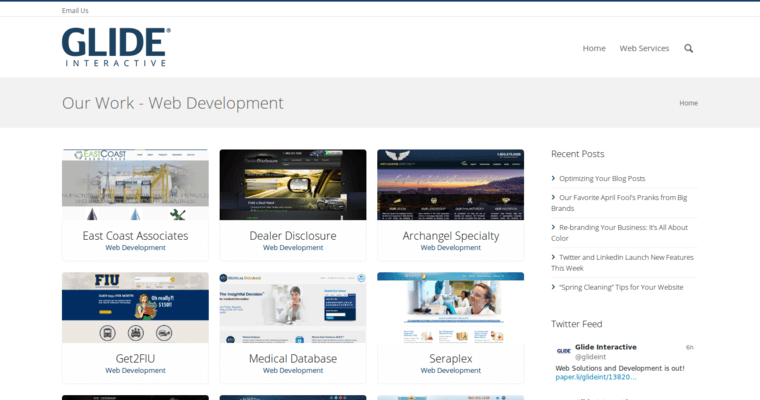 For example, you can count on Glide Interactive to handle your content management, logo design and corporate branding, and you also don't have to worry about going with another company for your marketing needs. Instead, you can use Glide Interactive for email marketing campaigns, pay-per-click advertising needs and social media marketing. 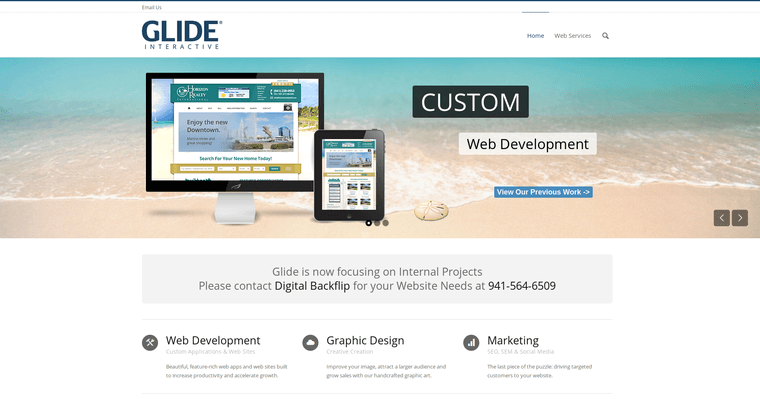 Glide Interactive is based in Sarasota, Florida, and provides many well-respected companies with Web design, development and advertising services. You can count on this company to provide you with all of your website-related needs, or you can opt for just one of two necessary services. Regardless, you are sure to love working with a company that is known for providing the best of the best.